If you had to name a statue, any statue, odds are good you'd mention the Statue of Liberty. Have you seen her? And she's taking one step forward. 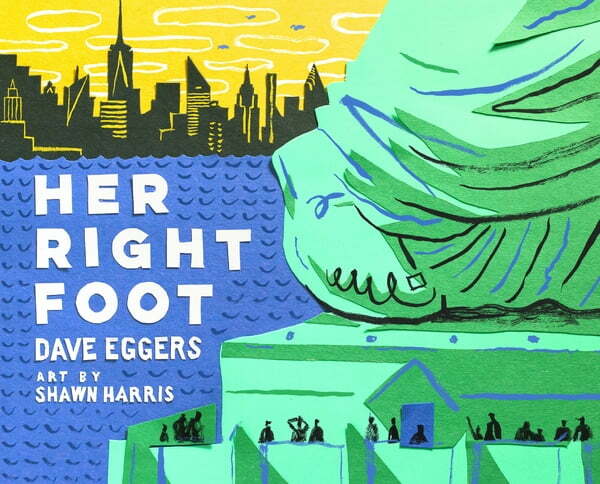 In this fascinating, fun take on nonfiction, uniquely American in its frank tone and honest look at the literal foundation of our country, Dave Eggers and Shawn Harris investigate a seemingly small trait of America's most emblematic statue. What they find is about more than history, more than art. What they find in the Statue of Liberty's right foot is the powerful message of acceptance that is essential to an entire country's creation. Can you believe that? Plus, this is the fixed format version, which looks almost identical to the print edition.